AT&T today is offering a selection of Apple's silicone and leather iPhone cases for just $5.00 in new condition, during a limited time promotion. Cases in the sale cover the iPhone XS, iPhone X, and iPhone 8 Plus, and these are as much as $45 off their original prices with lowest-ever price points seen for new versions of the accessories. 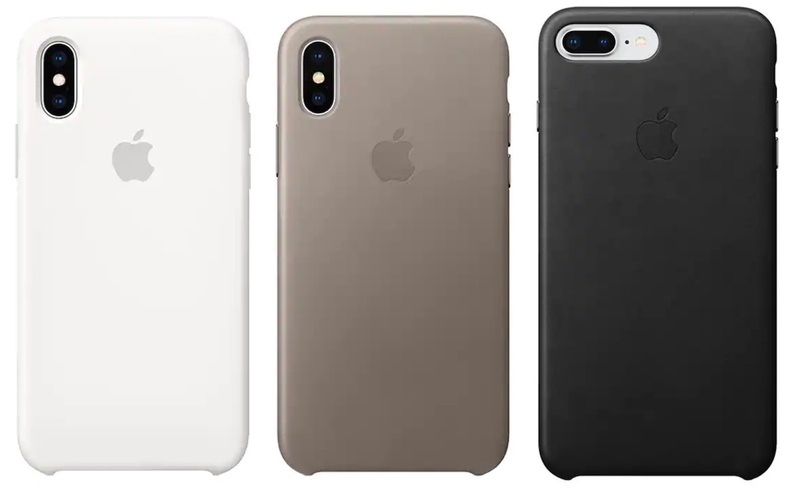 Apple's leather and silicone cases are built to fit snugly onto their respective iPhones, providing full access to the volume, silence, and lock buttons. iPhone XS cases do fit on iPhone X devices, although there may be some small gaps in the camera cutout on the rear of the case. You can shop for all of the special prices offered by AT&T on Apple's iPhone cases in the list below. At this time, it's unclear how long these prices will be staying around. Note: if you purchase three cases at once, you can automatically mark the cost of each case down by another $1 thanks to AT&T's current "Grab and Save" discount. Head to our full Deals Roundup for additional information on sales happening as we enter the weekend. Update 2/20: In the days following news of the iPhone case sale at AT&T, many users began pointing out that their orders were cancelled. In emails sent to these shoppers, AT&T noted, "This item flew off our shelves and isn't available anymore." "Customers who placed their order after our stock was depleted were never charged. We have apologized for the inconvenience and are offering them a 30% discount on other accessories." Lol I wonder if Apple had a surplus from lower than expected iPhone sales and dumped them on ATT at a steep, steep discount. Totally expected this comment. Perpetually people complain about high prices and then when literally ANYTHING is on sale people say it’s a sign that Apple is in trouble in some way. Classic Bait & Switch. Offer an impossibly good deal to get people in the virtual door and then have no stock and then direct people to the rest of the store. The real galling part is that they initially delayed shipping until a specific date and *then* canceled the order several days later. John Gruner: Apple is selling iPhone cases at cost! AT&T: 80% off and we are still making money on these same cases. I'm willing to bet zero people in this thread have received any communication or a 30% code. BRB... gonna go make a fortune off of ebay. I put 3 in my cart and it took another $1 off each of them! (Buy 3 accessories, get 20% off). Haha awesome, adding this into article. The 'leather' is such a scam and that's all it's worth. It's just a plastic case with reconstituted leather (i.e. leather offcuts pulped, mixed with a glue, painted onto the plastic then textured). Over time it just falls off leaving you with a plastic case. I wish there were laws against calling recontstituted leather 'leather'. It's so not the same thing as a proper hide. I went through the same thing, guess this is the straw that broke the camel's back. I am ditching them for good. I basically went through the same process as you two, however, after waiting so long, I said screw it and hung up on them and called AT&T Executive Relations. I had the number (and extension) because I had to deal with them before and it goes right to the same guy that helped me before, so I called and it went to his voicemail and I left a message explaining what happened and now I am just waiting for him to get back to me. Executive Relations is as high as you can go in most any company (other than obviously The Board & CEO) to get your issue handled. I know some people would probably say, "ohh you called Executive Relations over two $5.00 cases?" Damn right! It did not say sold out when I bought them, and it processed my order, took my $10.88, and then delayed it, and then cancelled it. As far as I am concerned, AT&T owes me two Apple branded cases, one leather and one silicone. I will pay $5.00 for both but really they should be free after being on the phone with incompetent people for 2 1/2 hours!!! I will keep you updated with what the guy from Executive Relations says. Edit: Screw it, here is the guys (I forget his name) direct number from Executive Relations, all of you should call so that they have to do something: 1-405-302-4368. You will most likely get his voicemail (which his name is in), just leave a decently detailed message with your callback number and he WILL get back to you. These are the people that have the ability to basically do whatever they want. Here is their ordering department's phone number that their rep just gave me: (866) 267-4510. We need to get on the phone and call them up.